This is a sponsored blog post. Consideration was paid to me by Indie Do Good to review this product. All opinions are my own. When choosing holiday gifts for my friends and family, I try to be thoughtful in searching out unique gifts, especially from the Maker Movement. Their products are often more local, artisanal and high quality, and made by people who care. I love getting a gift that feels a little more handmade and personal, and I know my family and friends do, too. IndieDoGood is the perfect place to find those special gifts, all in one place. The Maker Movement is a social movement full of entrepreneurs, inventors, designers, engineers, artists and true craftsmen. It’s the passion behind DIYing and shopping local and to slow down the big box stores. It’s about creating something unique, having fun, but also giving back. 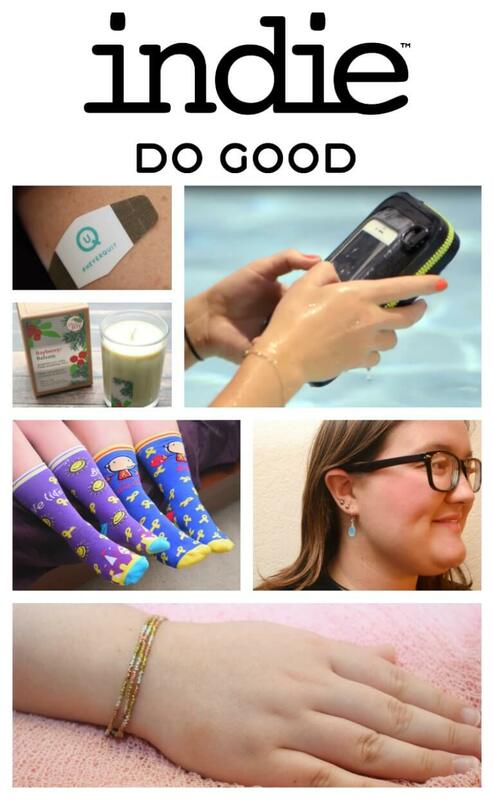 IndieDoGood.com is a one stop shop to bring consumers right to the home of a wonderful community of Makers. Each of these Makers has a story to tell about how they’re doing good and giving back, and you can see all of their stories right on the site along with their products. Plus, every purchase on the site includes a “do-good” with a 5% donation of the total purchase price going to your favorite charity. 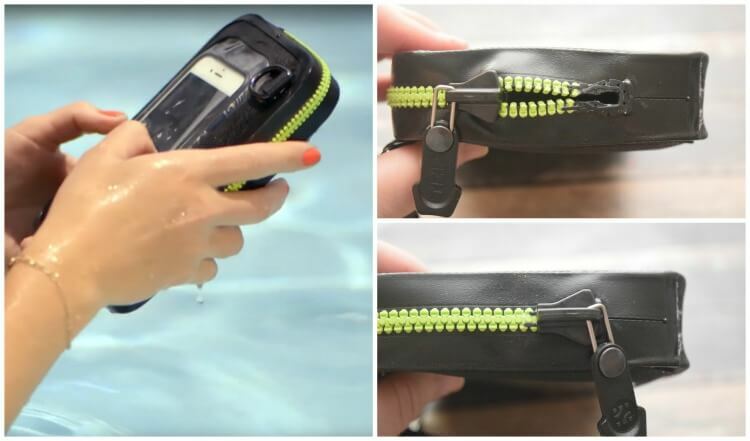 Ugo is a waterproof life jacket for your phone, and it floats! It’s the first of its kind to protect your phone, data and small valuables with a completely waterproof zipper. You can take it to the pool, water park, or tubing down the river. These are nutrient-enriching patches as well as convenient supplement packs to give your body what it needs, when it needs it. Their products are a pill free supplement that focuses on on energy and fitness, overall health and weight support. 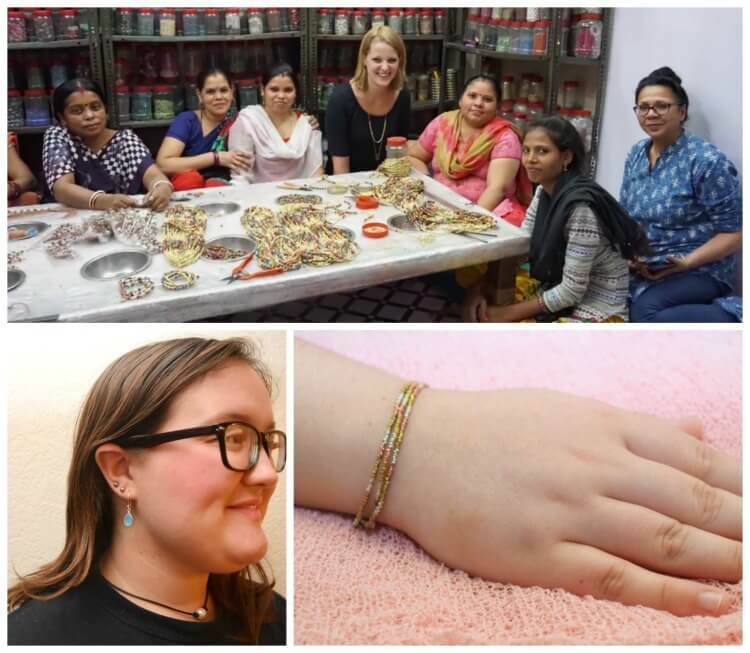 Fair Anita creates opportunities for women and girls in countries with extreme poverty and domestic violence by selling trendy and affordable fair trade jewelry and accessories. They provide dignified jobs to over 8,000 talented women in 16 countries. These artisans design and create beautiful jewelry products all by hand. We received these gorgeous earrings, and this beautiful bracelet made with melted down bullets from Ethiopia. Sunleaf Naturals is located in Minnesota and is all about 100% essential oils, diffusers, pure plant ingredients, and beeswax. They believe in protecting freshwater resources and donate 5% of their total proceeds to the Freshwater Society which educates and inspires people to value, conserve, and protect freshwater resources. Sunleaf Naturals also owns and operates a Honey Bee Apiary, and these hives are the source of their pure, raw SunLeaf Apiaries Honey, which they harvest in small batches annually. They also donate 5% of the proceeds from their Honey Soaps, Filled Candles, and SunLeaf Apiaries Honey to the University of Minnesota Bee Lab. I love supporting a company who cares like this. We received the Bayberry Balsam candle, and it smells amazing. These are so fun and my favorite! They’re socks that give back and were founded by two young brothers, Brandon and Sebastian. It’s kids helping kids! 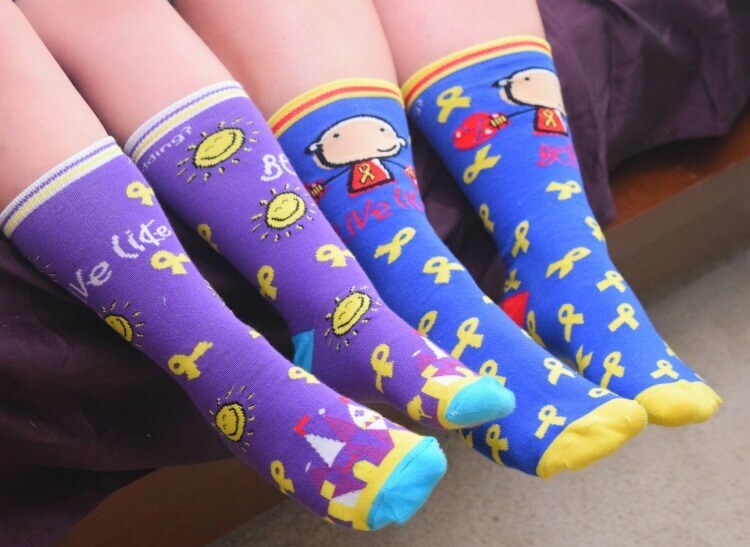 They design and sell their own line of kids and adult socks, and they are also making a difference by partnering with local and national charities such as Autism Speaks, American Cancer Society, Special Olympics Florida, Big Brothers Big Sisters of Miami, and The Live Like Bella Foundation to name a few. Need to check off a few on the holiday gift list? 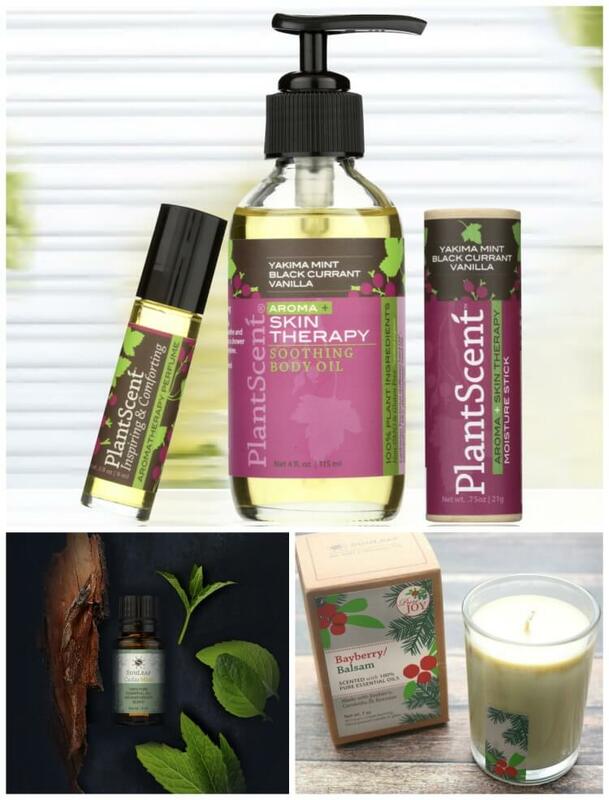 Head over to IndieDoGood.com and check out a few of these products and more. It’s a great way to find quality things and know you’re a part of helping others, too.